So I have been using proXPN for a while now, and I have been thinking of writing a review of it for some time, but have never really gotten as far as doing it, but here it is. 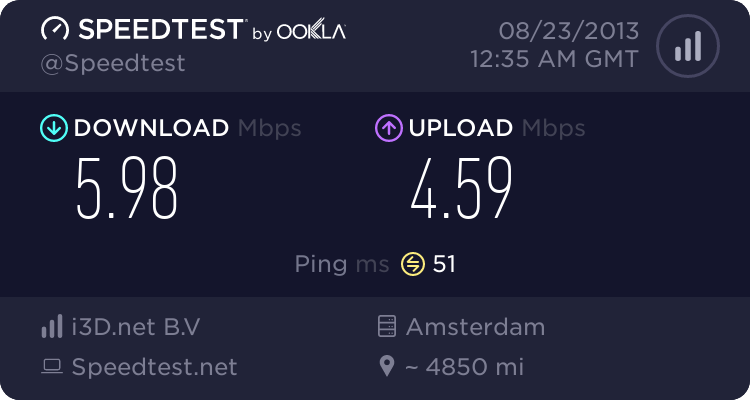 The result above to the left is when using speedtest with the VPN connected, and the result to the right is with the VPN off. The speed is not great, so it is definitely not good for torrents or filesharing. The upload is actually better than what I should be getting for my plan, but that might be because it was late at night when I ran the tests. 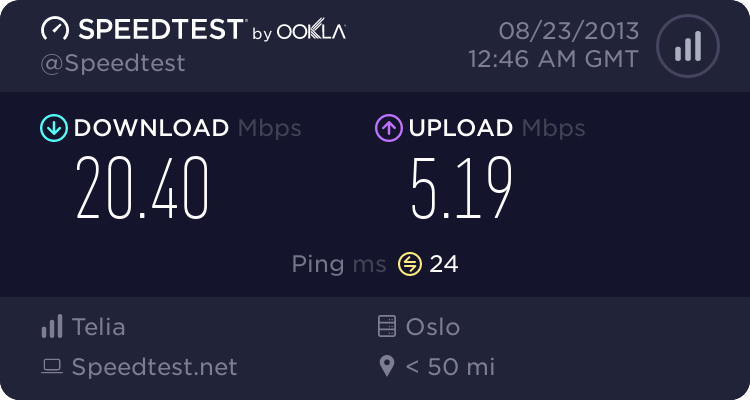 The latency is not bad, and I have used the VPN when playing CS:GO and DotA2 without any problems, but depending on the time of the day the ping might reach around \~100ms at worst. For normal browsing I doubt that you would notice much that you are using this VPN at all, but YouTube loads somewhat slower at times. For the price I think the service does lack some options when it comes to choosing different locations around the world, the list of servers to choose from has also not grown any bigger over the months I have used the service. The network does not seem to be filtered in any way, and I have never been blocked from viewing any websites or connecting to any services, but sometimes SSH does not want to connect over the VPN which is very annoying. It is also very easy to get it working on you phone, which is one of the major reasons I wanted to get a VPN. Open networks in a public place is not the best places to do online banking and using Facebook, but using a VPN makes this much more secure. I originally heard about proXPN through the Security Now podcast, and used the promo code from them and got a lifetime 20% off. Without this code I think the service would be too expensive compared to what you get. Only 7 locations to choose from, not the best speeds, and a latency that at times can be to high for online gaming. Will I be reviving my subscription after my current one is over? Not likely, I will probably look for someone cheaper with better latency and more locations to choose from. Is it worth getting? Depends on what you are going to use it for. For having a secure connection over your phone when you are on a open network then yes. Stay away if you want something to torrent over or use when gaming on your campus network. They do have a 7 day trail period, so if you are unsure just test it out and cancel it within 7 days if you do not like it. Check my proXPN review here. If you are are setting up this on a Raspberry Pi there is additional information available here.